Today is World Disability day. It is an international observance, first promoted in the United Nations in 1992, which is now celebrated across the globe. It aims to promote an understanding of disability issues and mobilize support for the dignity, rights and well-being of persons with disabilities. With separate themes every year, the theme of this year is – together for a better world for all including person with disabilities in development. Although events like this help in increasing awareness about persons with disabilities in every aspect of political, social, economic and cultural life, the financial future is still ignored. Much can be attributed to lack of awareness of their financial needs and advisors or planners interest. Development of the disabled, as the theme speaks of, can be only achieved when persons with disability/caregivers/parents plan for their secure financial future. Generally, parents/caregivers take care of the financial needs and livelihood of the disabled till they are alive. However, unexpected events can occur anytime and can impact the life of the disabled, if not planned. The Indian government is already running several schemes to provide benefits to them. However, just as in our case, growing inflation also affects their financial needs. It’s not necessary that disability happens by birth. Some unforeseen events can also lead to an adult getting disabled, thus changing their lives altogether. The solution for well-being lies in planning ahead for all unexpected emergencies and utilizing the utilities well in advance. As soon as parents come to know that they have children with disability /people with disability in the family, along with medical intervention they should start planning their financial security. If the family has been following financial planning, then some changes would have to be made for dealing with such events of life. However, most families lack awareness on planning for disabled financial needs and benefits provided to such persons. The needs of a person with disability should be looked at comprehensively. A physically disabled person might be able to earn livelihood and hence will have different needs from someone with mental disability who will need regular support. Identify the financial needs which will include cost of regular medication, support for aids & appliances, livelihood and rehabilitative expenses. While planning, take inflation into consideration. Also, there are other members in the family whose needs will be entirely different. If a family has other children then they are looked upon as the caretakers of the disabled child when they grow up. Hence, it’s necessary that all children get a good start in life.If the disabled is in adulthood and aware of earning a livelihood, he/she should plan future expenses well in advance. 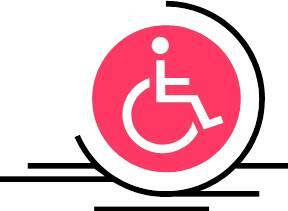 Indian government has sponsored schemes to provide benefit to disabled persons. Niryana Health Insurance gives up to Rs 1 lakh medical cover to people suffering from autism, mental retardation, cerebral palsy, as well as multiple disabilities. The scheme is available from the National Trust or through NGOs working in the area. Apart from this, concessions are provided for travel via rail /buses/air across the country and there are reservations for disabled persons in government jobs. A monthly pension scheme of Rs 1,000 is also provided for the livelihood and the disabled have been provided with reservation of 2% in property purchases. For ambitious people, government sanctions loans at discounted rates for setting up a business. Similarly there are other schemes which have been running succesfully and helping many disabled families. Families which have dependent members to take care are extended various tax benefits under section 80DD which helps in increasing their disposable income. Utilize these to the maximum as it helps in catering for various expenses. If the disabled person is not a grown up then the parent/caregiver should allocate a portion of savings towards the future financial needs of the person. Invest carefully in various instruments so that the money grows to the desired goal. If the disabled person is a grown up, earning a livelihood, he should invest a part of his/her savings for later years. The most alarming situation is when the parent/caregiver dies without making provisions, leaving the disabled person at the mercy of others. If families have a good surplus to leave for the disabled, it will disqualify him/her from the government sponsored benefits. Hence, if the legal heirs turn a blind eye, the life of disabled becomes too difficult.Through creation of special trust, the family can make sure that the money inherited to the disabled is utilized only for his/her benefits. The government also appoints legal guardianship if the disabled do not have any. A legal guardianship certificate is issued which ensures that the disabled person is not deprived of the benefits, especially those that are government sponsored. Most families today lack awareness about including a disabled person in their planning. With no support from financial advisors, the planning for the member is delayed or everything goes unplanned. It will be wiser to take the help of a financial planner as soon as it is discovered that a member is disabled or a child is born with disability. Although, in India, not many planners work exclusively for such families but their expertise can surely help in creating a secure future. An adult who is disabled but able to earn a livelihood can take the help of a planner for planning his/her various financial needs. There are many financial planners who are giving financial consultancy at very nominal fee. The families can utilize their services for specific needs. The critical part of financial planning is reviewing periodically. Most individuals fail to implement this. A change in future caregivers or government benefits impacts the future livelihood of the disabled person. Through a review, such changes can be accommodated easily and planning can be done accordingly. If invested, it helps in identifying underperformance and making necessary changes. In the US, there are financial planners dedicated to such families. The awareness is increasing in India and lots of financial planners are working with disabled families in planning their future. Let’s dedicate this day to the disabled persons whom the world is reaching today. Their financial well- being is as important as ours and they too need a secure financial future. World Disability Day- Are You Contributing? Financial Planning for Special Childrens’ Why Disability Risk Can’t Be Ignored? When Your Retirement Is Scary?